Join Shoulder to Shoulder Pittsburgh/San Jose for a night of world-class Piano music with Van Cliburn award winner Dr. Barry Coutinho, followed by a dessert reception. Dr. Barry Coutinho comes from a musical family. He was deeply inspired by his father who was a family physician and concert pianist. As a teenager he appeared in the final rounds of the UK BBC Young Musician of the Year national piano competition and won many prizes and awards at the Guildhall School of Music in London. Later, he achieved Honors in the Royal College of Music Piano Performing. 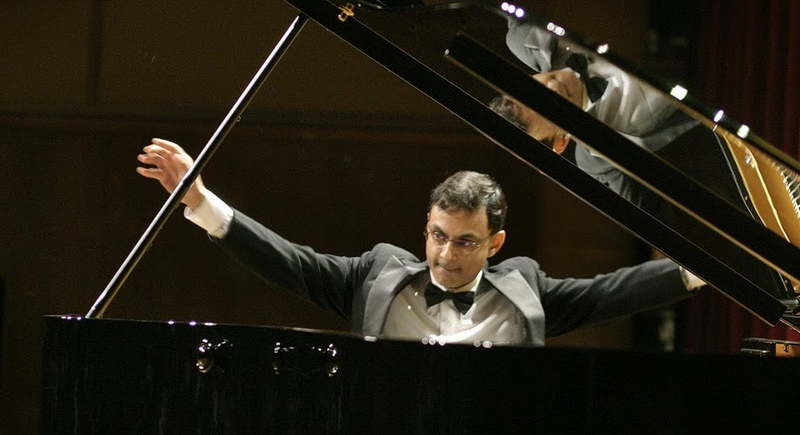 As a highlight in his Musical career, Dr. Coutinho was a double prize winner in the 2011 and 2013 Van Cliburn international piano competition for outstanding amateurs where he won best performance of a post-romantic piece. In the Washington DC international Piano Artists Competition he was awarded the Washington Post Press Jury Award. Dr. Coutinho is a full time family physician and teaching faculty at the UPMC Shadyside Family Medicine residency program as well as Vice Chief of the Family Medicine department. In his spare time he likes to give piano concerts for medical charities and spend time with his family. Sponsor, develop, and promote services and programs, which are charitable, scientific or educational and which address the physical and/or mental needs of the members of the communities served by Shoulder to Shoulder Pittsburgh-San Jose. Proceeds benefit Shoulder to Shoulder Pittsburgh/San Jose's operating fund.